Vimeo pretty clearly wants to assert itself as the next Netflix or Amazon when it comes to original on-demand content. Today the video-sharing platform announced a partnership with Maker Studios, which works with over 55,000 “independent creators” and claims to be the biggest content network on YouTube. According to Greg Clayman, Vimeo GM for audience networks, the company will feature original content from Maker creators through its paywalled Vimeo On Demand service, and work with Maker to develop long-form projects that it will sell exclusively for a limited time before letting creators shop the content elsewhere. The deal comes a week after the kid brother of streaming video sites signed a similar agreement with New Form Digital Studios, committing to bringing four new series to Vimeo On Demand this year, culled from a batch of projects in the works by New Form and various YouTube stars. Two of those four series have already been announced: The first, created by KickThePj (real name PJ Liguori), is Oscar’s Hotel, in which a young man “navigates the high-maintenance mayhem of the mystical creatures” in his uncle’s magical boarding house. Oscar’s Hotel | Series Trailer | Created by KickThePj from New Form Digital on Vimeo. The second, created by Sawyer Hartman, is Parallax, the story of a scientist doing his best McConaughey-in-Interstellar impression while trying to warn the world of another imminent meteor apocalypse, 17 years after a devastating series of strikes killed millions. PARALLAX | Series Trailer | Created by Sawyer Hartman from New Form Digital on Vimeo. Vimeo hasn’t elaborated on how much content it will produce with Maker, but according to Clayman, it promises to “spend substantial amounts of money on a number of projects.” (He then may as well have torn the sleeves off his suit and flexed his biceps.) The company’s most notable original production to date is High Maintenance, a 2-year-old show about a New York City weed delivery man, for which Vimeo funded six new episodes. 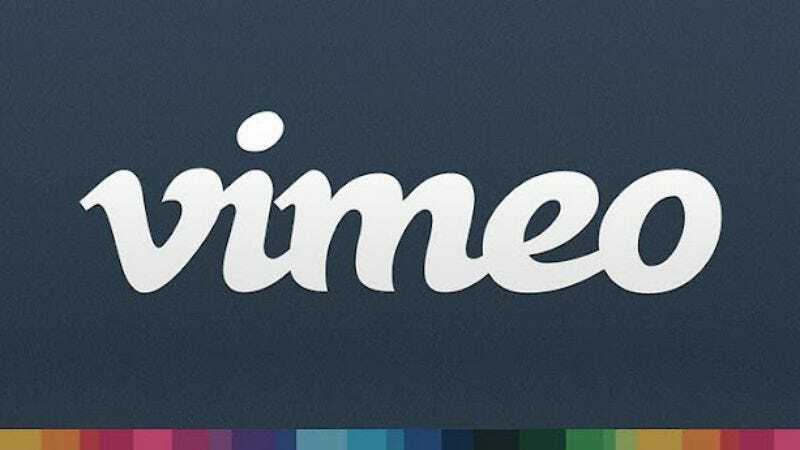 Also as part of today’s agreement, Vimeo has extended a motive-soaked olive branch to the thousands of Maker creators who won’t get their projects funded: They will all receive a discount to Vimeo Pro and a guide to selling their work through Vimeo On Demand. Netflix, Amazon, YouTube, and other streaming giants should take notice that their kid brother sounds serious.